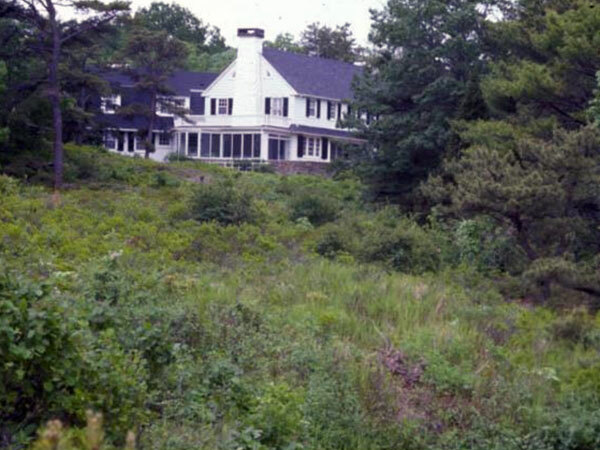 In 1905 Philadelphians James and Alice Pardee Earle hired architect Horace Wells Sellors to design their summer home on a treeless, rocky pasture overlooking the ocean. After her husband’s death, Alice and her daughters Elinor, Doris, and Mary summered there for decades. 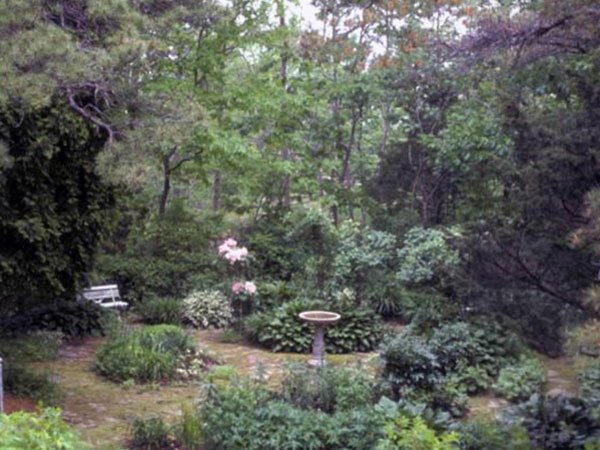 Much of the landscape was left intentionally rustic, with native junipers and blueberries growing between the house and shorefront rather than a manicured lawn. The family developed footpaths leading to nearby rocky beaches, picnic sites, high points, and a stone bench overlooking the shore. In 1910 the Earles hired James Dawson of Olmsted Brothers to design the carriage-drive turnaround, woodshed with laundry yard, and a location for a flower garden. 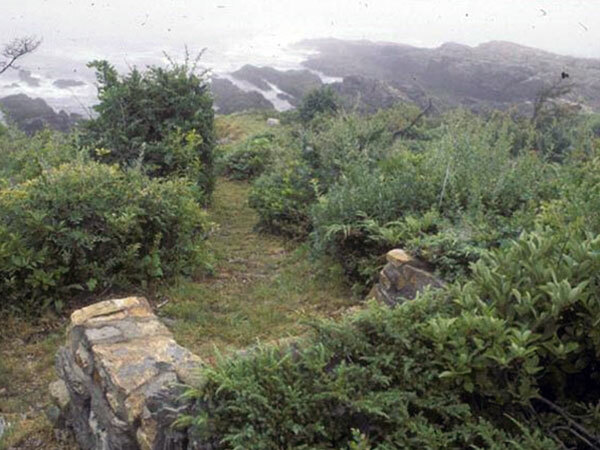 In 1913 Elinor Earle worked with Dawson on the design for a walled garden that would protect plants from the harsh oceanfront conditions. The garden’s stone steps were inspired by Gertrude Jekyll’s Gardens for Small Country Houses. 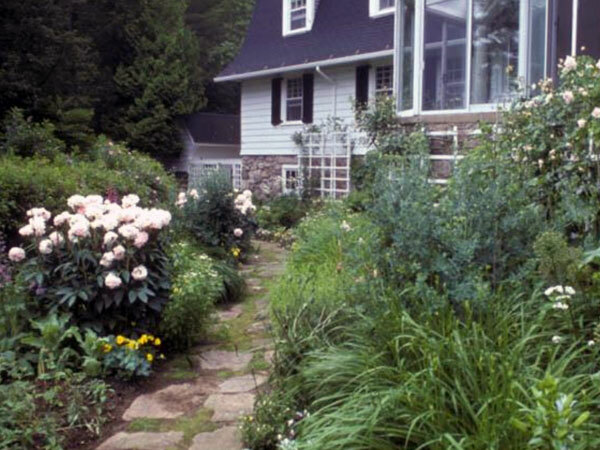 Elinor also designed the adjacent Long Garden for perennials and roses. After buying additional land in 1926, the Earles worked with Carl Rust Parker, also of Olmsted Brothers, on a new drive to accommodate automobiles. 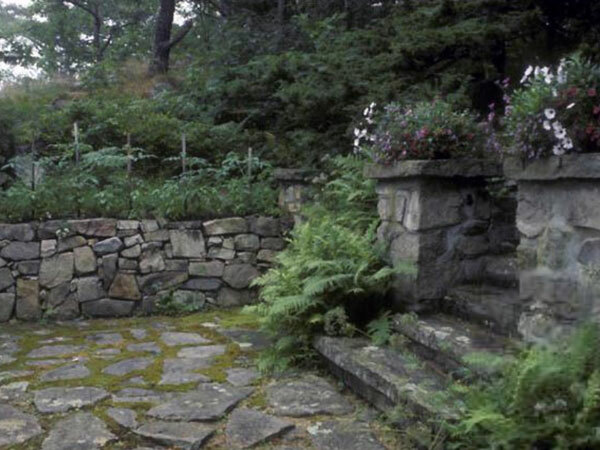 The original turnaround became the formal Round Garden with stone paths and stairs leading to the house. In 2004 the property was subdivided, leaving intact only the Round Garden, Long Garden with historic roses, walled garden, and the lattice-enclosed laundry yard.